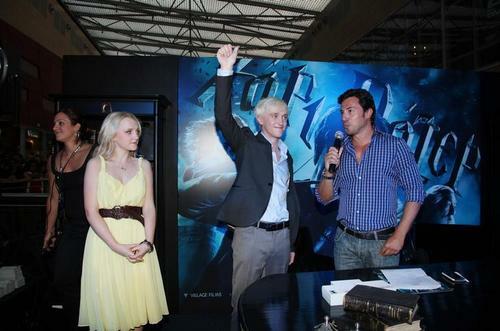 "Harry Potter and the Half Blood Prince" Athens Premiere . "Harry Potter and the Half Blood Prince" Athens Premiere . HD Wallpaper and background images in the Tom Felton club tagged: tom felton half-blood prince evanna lynch. This Tom Felton photo might contain concert.